Adel M Belal , Ph.D. Throughout Prof. Belal career life, he has graduated with an honored Bachelor degree from the Military Technical College (MTC) in 1983. He received a master's degree in 1991 from MTC, then he received the Ph.D. in 1997 from University of Mississippi, USA. He has specialized in Structural Engineering, starting his career in the MTC till 2012 as a member of the teaching staff, where all the positions were held. In 1999, His job progression allowed him to be the Head of the Consulting Engineering Center. As in 2009, he was appointed to be the Head of Civil Engineering Department. In 2010 he promoted to the Head of Civil and Arch Branch. In 2011, he became the Vice Dean for the Educational Affairs, who is Responsible for MTC educational Plan. In 2002, He joined AAST as a visiting professor then, joined as a full faculty member in 2012, which appointed as The Head of Consulting Engineering Center. At the beginning of 2013, He was promoted to the head of Construction and Building Engineering Department. His practical experience relates to his academic interests as a Consulting Engineer in the Field of Design of Reinforced Concrete Structures and Geotechnical Engineering. He is a member of the Egyptian Construction Third Party Liability Insurance Pool, Member of the Egyptian Construction Reviewer of Ministry of Housing, and Member of the reviewer committee of the Egyptian Code of Practice. He has designed and supervised many Reinforced Concrete and Geotechnical projects. Adel M. Belal , Hazem A. Hasan , Ismail M. Kmal , "Intelligent Prediction of Induced Tensile Stresses in Unlined Rock Tunnels Using Artificial Neural Network Under Effect of Explosion Loads " , 9th International Conference on Civil & Arch. Eng, Military Technical Collage, Cairo, Egypt , 2012. A. M. Belal , M. K. Hasan, I. A. , N. M. Badra , "Applying Integer Linear Modeling to Solve Time Cost Tradeoff Problems in Construction Projects" , Scientific Magazine (CERM), Al Azahra University, Cairo, Egypt , 2012. Adel.M.Belal , Nabil. H. Amer , Mazen. S. Zaher , "Impact of Cement Factories Stacks Diameter and Distribution on the Dispertion of Released Pullutants" , Scientific Magazine (CERM), Al Azahra University, Cairo, Egypt , 2012. A. M. Belal, M. K. Hasan, I. A. Nusair, N. M. Badra , "Time-Cost Tradeoff problems Solution for Construction Projects Using Linear Integer Programming" , 9th International Conference on Civil & Arch. Eng, Military Technical Collage, Cairo, Egypt , 2012. Adel M. Belal, Hazem A. Hasan, "Field Testing of Blast – Induced Ground Excitation Due to Explosion in Rock Mass" , 8th International Conference on Civil & Arch. Eng, Military Technical Collage, Cairo, Egypt , 2010. Adel M. Belal, "Finite Element Analysis of Soil Diaphragm Wall Interaction During the Construction of New Adjacent Building " , ASCE 6th International Engineering and Construction Conference IECC6, Cairo, Egypt , 2010. Adel M. Belal ,Hazem A. Hasan , Fathalla M. El-Nahhas , Ismail M. Kamal , "Field and Numerical Study Of The Effect Of Geotechnical Conditions On Wave Propagation Of Underground Explosion In Rock Mass" , ASCE 6th International Engineering and Construction Conference IECC6, Cairo, Egypt , 2010. Adel M Belal, Ayman A Mariee , Ahmed El-Desouky , "Application of The Convergence – Confinement Approach to Analyze The Rock – Lining Interaction in Tunnels ( Case Study: Shimizu Tunnel )" , International Conference on Aerospace Eng, Military Technical Collage, Cairo, Egypt , 2009. Adel M. Belal, A. Al-Ostaz, "Numerical Approach In Predicting The Penetration Of Limestone Target By An Ogive-Nosed Projectile Using Autodyn 3-D" , 12th International colloquium on Structural and Geotechnical Eng, Ain Shams University, Cairo, Egypt , 2007. 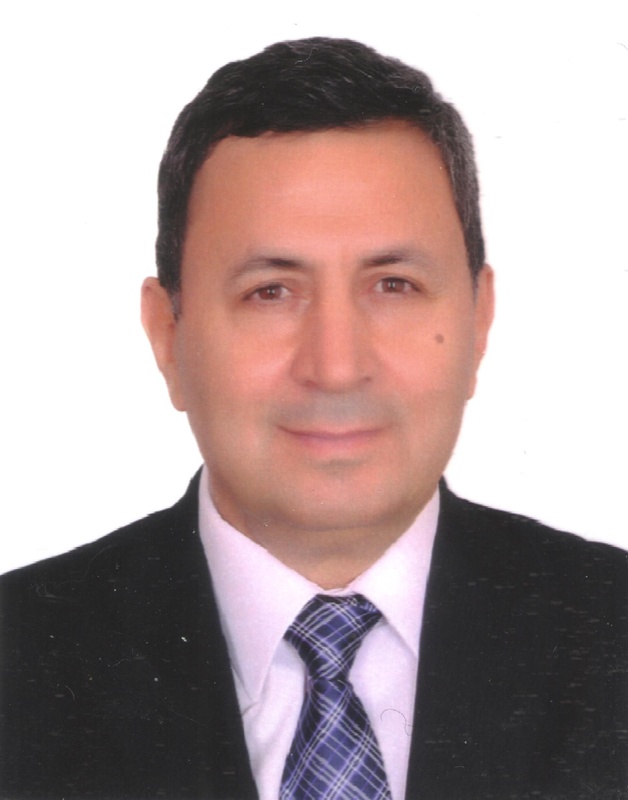 Adel M. Belal, "Numerical Analysis Of Vertical Side Wall Rock Tunnels Without Lining Subjected To Internal Blasting Loading Using Autodyn " , 12th International colloquium on Structural and Geotechnical Eng, Ain Shams University, Cairo, Egypt , 2007. Adel M. Belal, Hussein A. Loulou, Ismail M. Ismail, Mohamed A. Mohamedien , "Behavior of Steel Lining of a Vertical Sidewall Tunnel in Rock Media under Explosion Loading" , 6th International Conference on Civil & Arch. Eng, Military Technical Collage, Cairo, Egypt , 2006. A. M. Belal, S. A. Mazek, I. M. Kamal, N. H. Amer , "Numerical Modeling of Soil-Tunnel Interaction under New Surface Load" , 6th International Conference on Civil & Arch. Eng, Military Technical Collage, Cairo, Egypt , 2006. Adel M. Belal, "Rational Analysis of Tunnels Subjected to Different Explosive Loads" , International Symposium on Utilization of Underground Space in Urban Areas, Sharm El Sheikh, Egypt , 2006. Adel M. Belal, "Analysis Of Vertical Side Wall Tunnel Using Convergence Confinement Approach and Finite Element Simulation" , Journal of Al Azhar University, Engineering Sector JAUES, Cairo, Egypt , 2006. Adel M. Belal, Hussein A. Loulou, Ismail M. Ismail, Mohamed A. Mohamedien , "Parametric Study for Circular Tunnels Without Lining Subjected to Under Ground Explosion Load in Rock Media" , 11th International Colloquium on Structural and Geotechnical Eng, Ain Shams University, Cairo, Egypt , 2005. Adel M.Belal, "Rational Analysis for Circular Rock Tunnels Response Subjected to Under Ground Explosion Load" , Scientific Magazine (CERM), Al Azahra University, Cairo, Egypt, Vol. 27, no. 2 , 2005. Adel M. Belal, Hazem A. Hassan, Fatahalla El-Nahhass, "Analysis of Rock – Lining Interaction for Circular Tunnels Using The Finite Element Simulation" , 11th International colloquium on Structural and Geotechnical Eng, Ain Shams University, Cairo, Egypt , 2005. Adel M. Belal, Hussein A. Loulou, Ismail M. Ismail, Mohamed A. Mohamedien , "Parametric Study for Vertical Side Wall Tunnels Without Lining Subjected to Under Ground Explosion Load in Rock Media" , Scientific Magazine (CERM), Al Azahra University, Cairo, Egypt Vol. 27, no 2 , 2005. Adel M. Belal, Hussein A. Loulou, Ismail M. Ismail, Mohamed A. Mohamedien , "Non Linear Dynamic Analysis of Vertical Side Wall Tunnels Subjected to Under Ground Explosion in Rock Media" , 11th International colloquium on Structural and Geotechnical Eng, Ain Shams University, Cairo, Egypt , 2005. Adel M. Belal, "Rational Analysis for Vertical Side Wall Rock Tunnel Response Subjected to Under Ground Explosion Load" , Scientific Magazine, Al Mansoura University, Egypt , 2005. Adel M. Belal, Hazem A. Hassan, Fatahalla El-Nahhass, "Application of The Convergence – Confinement Approach to Analyze The Rock – Lining Interaction in Tunnels (Case Study: White mud creek Tunnels)" , 11th International colloquium on Structural and Geotechnical Eng, Ain Shams University, Cairo, Egypt , 2005. Adel M. Belal, Hussein A. Loulou, Ismail M. Ismail, Mohamed A. Mohamedien , "Non Linear Dynamic Analysis of Circular Tunnels Subjected to Under Ground Explosion in Rock Media" , 5th International Conference on Civil & Arch. Eng, Military Technical Collage, Cairo, Egypt, Vol.1 , pp 401-412 , 2004. Adel M. Belal, K. P. George, "Finite Element Analysis of Reinforced Soil Retaining Walls Subjected to Seismic Loading" , 4th International Conference on Civil & Arch. Eng, Military Technical Collage, Cairo, Egypt , 2002. Adel M. Belal, Amr Radwan, Essam El-Bahey, "Static and Dynamic Behavior of Soil-Structure System " , Ain Shams University International Colloquium on Structural Engineering, Cairo, Egypt , 1992. Member of the Egyptian Construction Third Party Liability Insurance Pool ( E.C.L.I.P): Revision of Concrete Structures Projects. Member of the Egyptian Construction Reviewer of Ministry of Housing: Revision of Concrete Structures Projects. 1 El-Moshier Ahmed Ismail St.